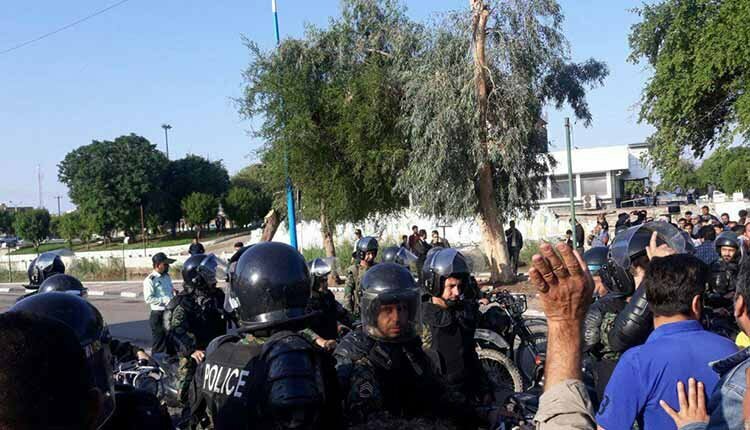 Labor rights groups in Iran have reported that security forces attempted to violently repress protests at the Haft Tappeh sugarcane company in southeastern Iran arresting several protesting workers. The Workers Syndicate at the Haft Tappeh sugar mill had already reported on Sunday that two representatives of the plant’s labor force, Esmail Bakhshi and Mosslim Armand had been arrested and taken to the security office of Shush along with a female reporter. Before being detained, Esmail Bakhshi delivered a speech deploring the presence of Special Unit forces. 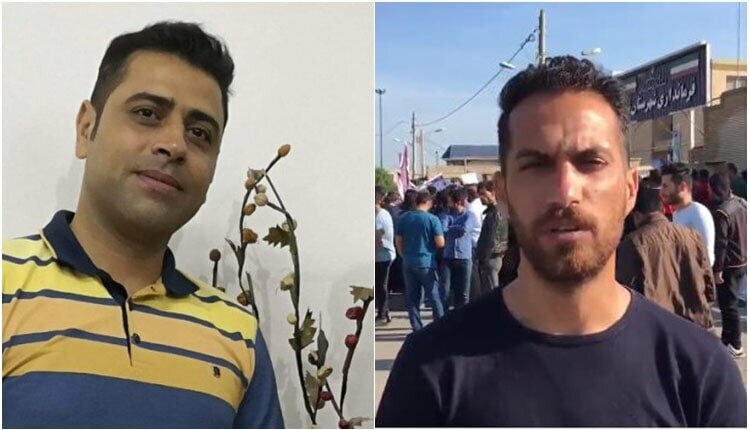 Esmail Bakhshi and Moslem Armand, representatives of the protesting workers from the Haft Tappeh sugar mill, were arrested by the state security forces. Other workers and their representatives arrested today are Pouya Bashmeh, Saeid Mansouri, Jalil Ahmadi, Asim Sorkheh, Mehdi Davoudi, Saeid Alkasir, Alizadeh, Omid Azadi, Samir Ahmadi, Salamat Nia, Emad Kasir, Mahmoud Sa’di, Mohammad Khanifar. The Governor-General of Khuzestan province acknowledge that four workers have been arrested during labor protests but the he has not identified the detainees by name. The protesting workers, who were angry over long overdue wages, demanded the immediate and unconditional release of the detainees. Employees of the Haft Tappeh sugar mill company in Shush, southwest Iran, continued their strike and protests on Sunday for the 14th consecutive day. This movement is gaining momentum despite measures by authorities dispatching anti-riot units to prevent any such gatherings. Reports say anti-riot police had been stationed in and around the complex in the early hours of Sunday, surrounding the workers. Up to three busloads of security forces had been dispatched from different cities of Khuzestan province on Saturday. Anti riot units closed all entrance and exit gates of the company, preventing the protesting workers from leaving the company.